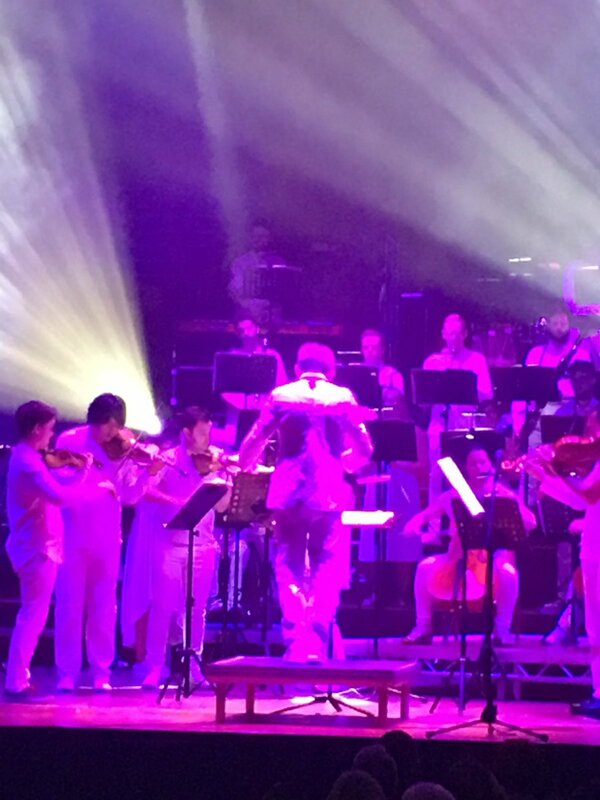 Sounds for Spies & Private Eyes is a musical spectacular featuring Adrian Utley (Portishead), Will Gregory (Goldfrapp), The Army Of Generals string orchestra and an 18-piece Big Band, all under the baton of renowned conductor Charles Hazlewood. 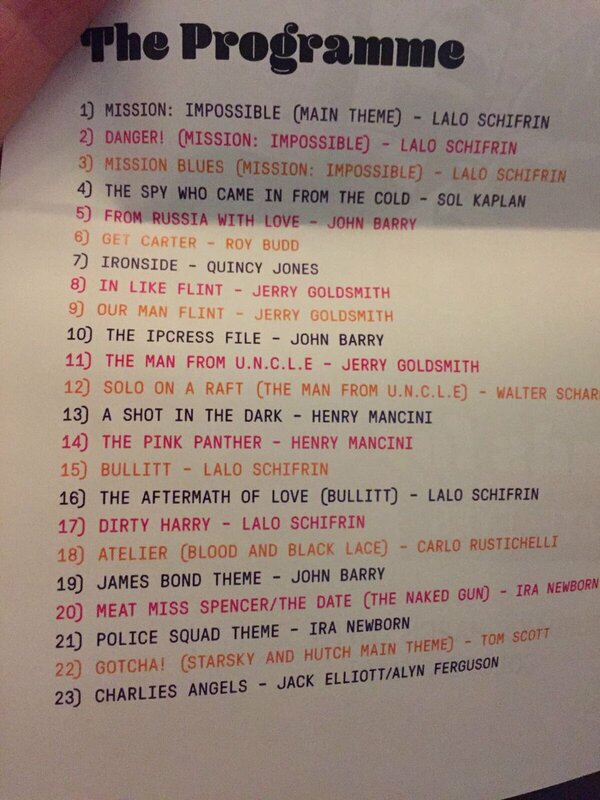 Celebrating the jazz and funk genius of film score writers such as Lalo Schifrin, John Barry, Henry Mancini, Jerry Goldsmith, Roy Budd and many others, you can expect to hear perennial classics such as Pink Panther, Mission: Impossible and the James Bond theme alongside a choice selection of cult classics. 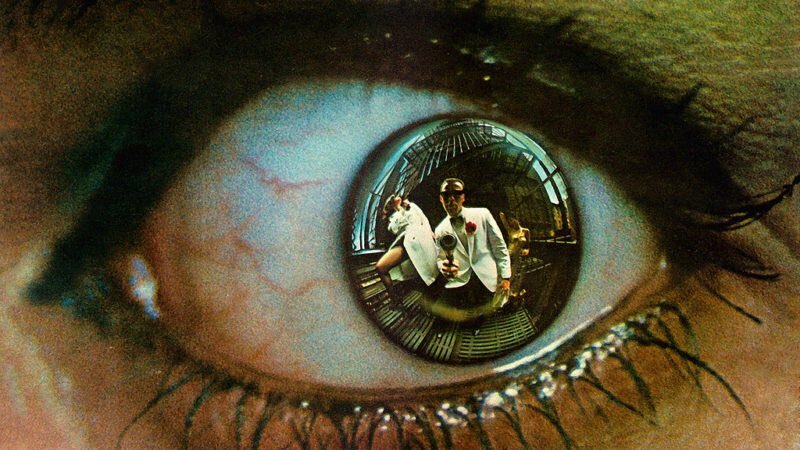 Showcasing new arrangements of classic themes Sounds for Spies & Private Eyes celebrates the golden era of jazz on screen. Charles Hazlewood is a passionate advocate for making orchestral music more accessible to a wider audience. First assembled for the 2008 Glastonbury Festival, Charles Hazlewood͛s All Star Collective is an ensemble dedicated to improvisation and features artists from across the musical spectrum. Although best known as a member of legendary Bristol band Portishead, guitarist and producer Adrian Utley was originally a jazz musician who has performed under several pseudonyms and contributed to many live and studio collaborations over the years. One half of electronic music duo Goldfrapp, Bristol-born Will Gregory studied classical music at York University. He is a composer and a producer who plays keyboard, saxophone and oboe and has performed with the likes of Tears for Fears, Peter Gabriel, The Cure and Tori Amos. Comprising some of Britain’s finest instrumentalists this orchestra was created by Charles Hazlewood to record with him and feature in his many landmark tv films on music, as well as his Sony Award-winning radio 2 & 3 shows. Army of Generals continue to be a cornerstone of many of Hazlewood’s projects. Combining deep-tissue musical exploration and breakneck virtuosity, Army of Generals pride themselves on taking their audience right to the heart of great music. Adrian Utley is best known for being guitarist in the band Portishead, who gained critical acclaim in the 1990s for their albums ‘Dummy’ (which won the 1995 Mercury Music Prize) and the self-titled ‘Portishead’. Dummy has been widely regarded as a milestone of the trip-hop genre, and the band are considered to be responsible for helping to shape the “Bristol Sound” of the 1990s along with the likes of Massive Attack and Tricky. Although Portishead has been dormant for some time the band are still working together, but in the meantime Utley has been exploring other avenues. As a self-confessed minimalist, he has recorded Terry Riley’s seminal work ‘In C’ with his guitar orchestra, and his jazz roots come into their own when he performs with avant-garde outfit Get The Blessing. Bristol born Will Gregory has performed with a wide range of artists, including Tears for Fears, Peter Gabriel, The Cure and Portishead. He formed the band Goldfrapp with Alison Goldfrapp in 1999, releasing six albums to date including 2017’s Silver Eye. His first opera, Picard in Space, had its premiere at the Queen Elizabeth Hall, London, in 2011. In 2013 his piece for orchestra and Moog was first performed at the Roundhouse, London, where his latest commission is also being performed in August 2014 by Joby Burgess (Powerplant) as part of ‘Imogen Heap’s Reverb’. With Alison Goldfrapp he recently created the music for Medea at the National Theatre of Great Britain. He continues to tour with the Will Gregory Moog Ensemble, and has also collaborated on several occasions with The British Paraorchestra. Since winning the European Broadcasting Union conducting competition in his 20’s, Charles Hazlewood has conducted some of the world’s best orchestras, directed numerous music theatre productions, as well as pioneering various groundbreaking projects that span a wide range of musical genres and disciplines. His most noteable projects include launching a new breed of orchestral festival, Orchestival, in his home county of Somerset, and in 2012 founding The British Paraorchestra, the world’s first large-scale professional ensemble of virtuoso musicians with disabilities. Charles Hazlewood’s All Star Collective is a psychedelic improvising ensemble, where Hazlewood works principally with Will Gregory (Goldfrapp) and Adrian Utley (Portishead).Hazlewood is also founder and conductor of the period instrument ensemble Army of Generals and the contemporary orchestra Excellent Device. Called an “evangelist for every age and tradition of music” by The London Evening Standard, Hazlewood has authored many television films on music for the BBC and Channel Four, and won Sony awards for his radio broadcasts on Radio 2 and 3. @ProfBrianCox In 2015, I saw @CharlieHazlewoo 's Barry Gray gig at @Colston_Hall same day as @BBCRadMac had the Angels' names as #TTTT! Absolutely stunning performance, @Colston_Hall @CharlieHazlewoo @Paraorchestra @DavidBowieReal @philipglass .. a musical feast for the ears. RT @MaffRigby: @Paraorchestra @CharlieHazlewoo @Colston_Hall beautiful show tonight thank you! @Paraorchestra @CharlieHazlewoo @Colston_Hall beautiful show tonight thank you! Strict 7:30pm start this evening with @Paraorchestra @CharlieHazlewoo Dont be late! Getting very excited about Charles Hazlewood and Army of Generals playing Philip Glass's Low and Heroes Symphonies at @Colston_Hall later! 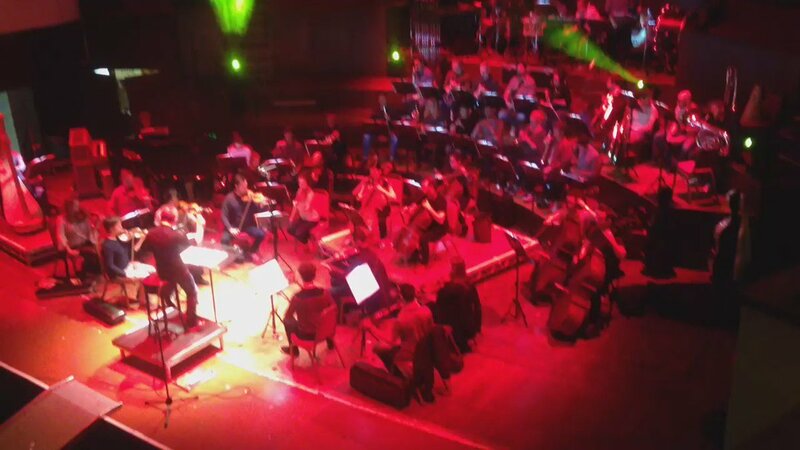 Going to see @CharlieHazlewoo conduct Glass’s Low Symphony at @Colston_Hall tonight. Very much looking forward to it! @JohnParish50 @Colston_Hall @CharlieHazlewoo @Paraorchestra Awesome, John! @FantasyOrch @Colston_Hall @CharlieHazlewoo @Paraorchestra I was at the (1st) show in 73, & planning on being there Saturday. @Colston_Hall @CharlieHazlewoo @Paraorchestra Can't miss that!